Is it after dinner yet? Because I’m ready for dessert: a Sweet Cream Shooter! So, you might remember that I have a slight obsession with coffee creamer. Milk in coffee is boring – I need my coffee creamer and I need it in every cup! I’ve been known to bring individual creamer packets with me on vacation in case the hotel doesn’t serve them. You guys – I even will pack little creamers in my quart size liquids bag. I’ll leave the good shampoo and body wash at home and use the cheap stuff they give you in the hotel room just so I can bring creamer with me and my coffee tastes the way I like it. My favorite flavor of creamer is International Delight Sweet Cream Coffee Creamer. I always have an open one in my refrigerator and an extra in the garage just in case I run out. I cannot run out. My day would be ruined, I’m not joking. It was only a matter of time before I figured out how to use my favorite coffee creamer in a dessert cocktail. 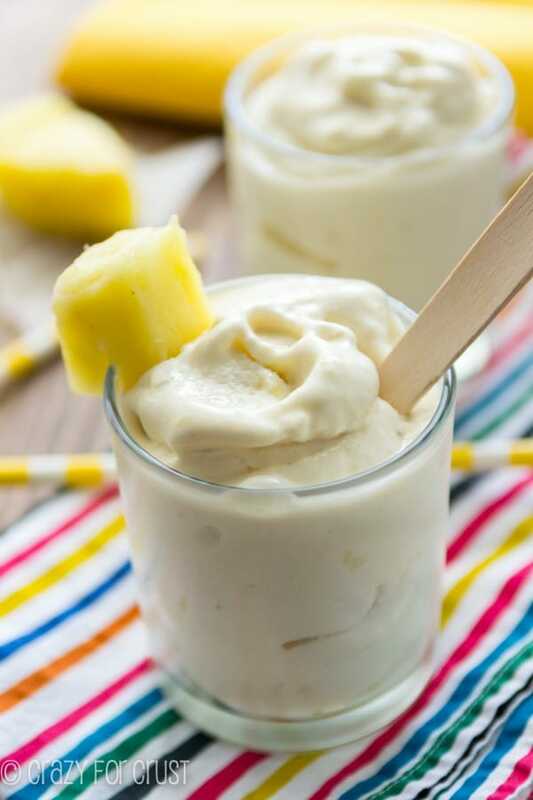 Because a dessert cocktail just means you get to have dessert twice. When Mel and I were young marrieds, we’d go out to nice dinners a lot. We’d take a cab, order a bottle of wine and expensive entrees, and then instead of ordering off the dessert menu, we’d order after dinner drinks. We’d sit there in a darkened restaurant, candles flickering, and drink creamy shots of Irish Cream, Chocolate, or Coffee Liqueur, stare into each others eyes and talk about the future. My goal with this Sweet Cream Shooter was to bring us back to those elegant after dinner drinks, even it’s over leftovers and whispers at our dining room table after Jordan’s gone to bed. Three ingredients, 30 seconds, and OMG they’re so good. Slightly coffee-y with a vanilla kick and a nice sweet cream finisher. It’s heaven in a sip! 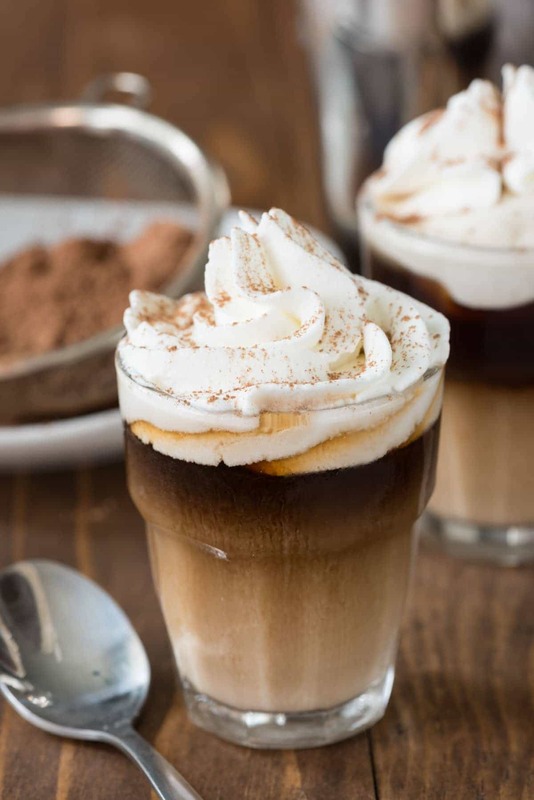 Feel free to use your favorite coffee liqueur and vanilla vodka brand (you can also use whipped or cake vodka instead) but don’t forget the International Delight Sweet Cream Coffee Creamer…and lots of whipped cream, of course! 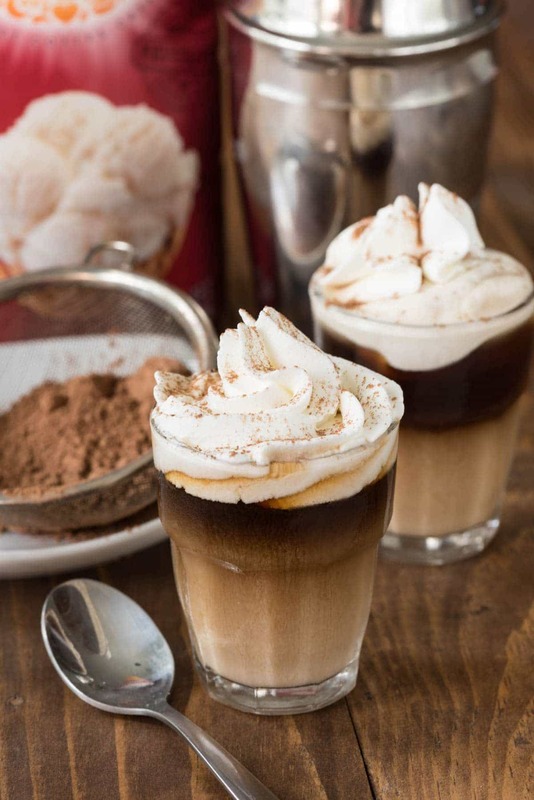 Sweet Cream Shooters - the perfect after dinner dessert drink recipe! 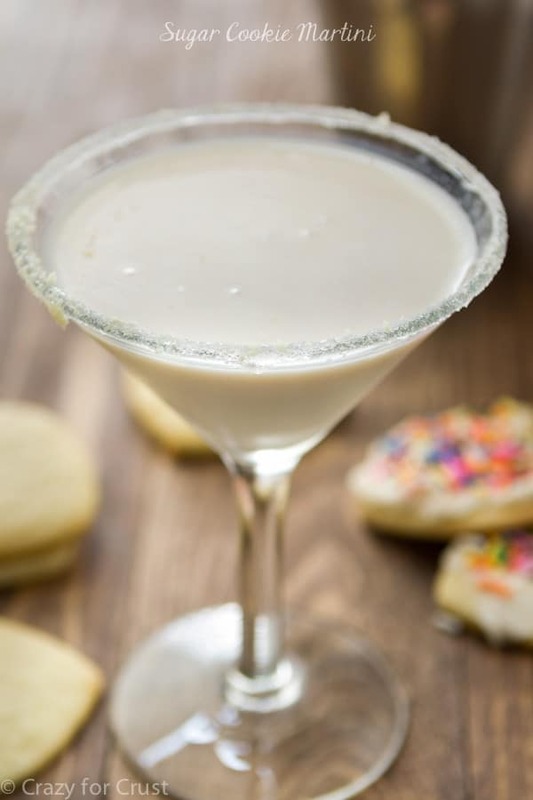 Only 3 ingredients: vodka, kahlua, and sweet cream coffee creamer! If your ingredients are all cold, you can just add them in the order listed to a 2.4 ounce shot glass. Otherwise, add the vodka and kahlua to a shaker with ice, shake, then strain into shot glass. Add a splash of coffee creamer. 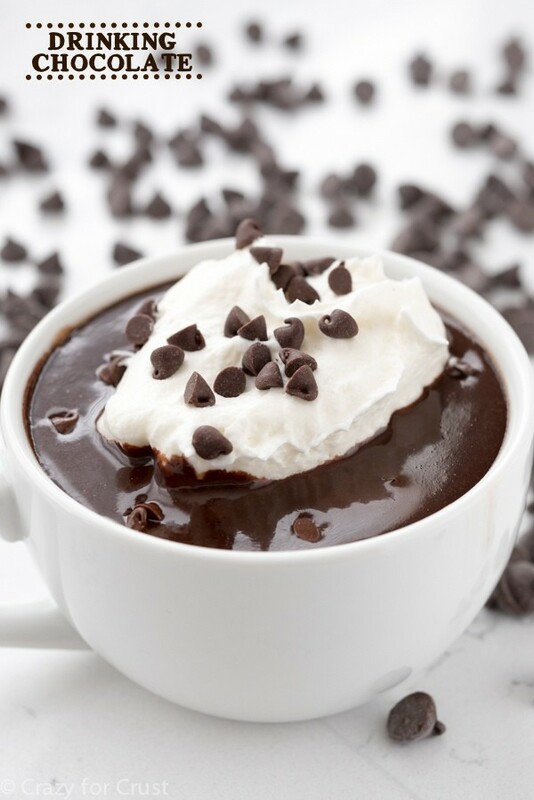 Top with whipped cream and a sprinkling of cocoa (optional). Connect with International Delight by signing up for their newsletter to get recipes and coupons! Or follow them on Facebook, Twitter, Instagram, and Pinterest for more ideas! And whoa. These look delicious! Love the added creamer. Oooh, Dorothy, these look divine! So easy and so pretty at the same time! I also always have sweetener packets with me at all times. 🙂 I hate when the restaurants go all cheap and use the generic brands. It’s just not the same! I neeeed one of these now, but considering I’m at work and it’s 6 AM, it’ll have to wait until happy hour. Can I wait that long?! Your obsession with creamer is totally understandable. I travel with my own foodstuffs, too. It’s much more comfy that way! Sounds so delicious! I have a large family gathering and I’m soooo making these! I have been drooling over this since I first spotted it on facebook! Definitely going on my must-try list! Obsessed! In the summer vacation every day i take ice-cream and cream shooter so delicious. When i come back from my office always bring this awesome test. So I’m not a drinker, have never been a drinker, but these look so fancy and yummy! Is there any way to make this or something similar to this without alcohol? It’s the craziest recipe that I’ve ever found. Thanks for that.